With so many speculative builds producing standard specifications, opportunities to design a bespoke lighting solution becomes a real rarity. It would be a beautiful thing to have clients in place when the building and internal uses are decided. Using various sources and styles of luminaire, with good control systems, it is a designers heaven. For years, office lighting design guides have encouraged us to light desks and screens, rather than tasks and people. Now that’s all changing. When engineering consultancy Cundall moved to its new office in the centre of Birmingham, the company took the opportunity to design a lighting scheme that focuses on people, and uses a tiny 4W of energy per square metre. 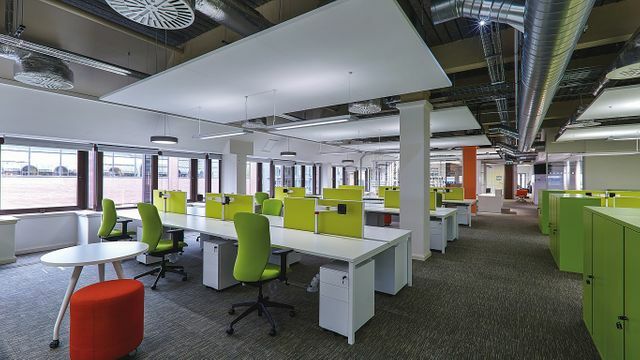 Cundall took over a 650m2 floor of the 25-year-old building. Andrew Bissell, director of the firm’s lighting practice CundallLight4, took the lead on the project, supported by senior lighting designer Luke Artingstall. The team worked with Peter Grant Architects and Overbury Contractors.